Have you ever thought that desserts can be healthy, guilt free and still taste unbelievable? Raw vegan desserts are made of pure natural ingredients that nourish your body. None of their essential nutrients are destroyed by cooking or baking. You can satisfy your taste buds, feel amazing and nourish your body at the same time. Our very first vegan potluck organized with cooperation of Sol Dance Center and Veganation. 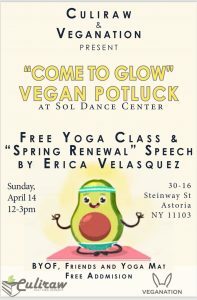 Bring your favorite vegan dish or snack (store bought is ok as well), friends and yoga mat to enjoy our desserts, free yoga class and motivational speech about spring renewal by Erica Velasquez. We are honored to be vending at this event again. Due to a high demand, another day of impactful and inspiring seminars, demos, workshops, 20+ wellness vendors, complimentary hydration, and connecting with old + new friends is coming to you. 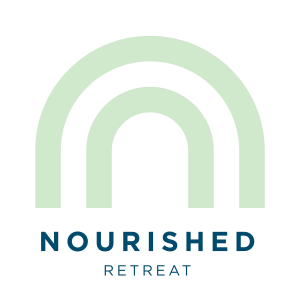 This Spring Forward Retreat will help you come away with actionable tips you will be able to implement immediately. Tickets are available here! 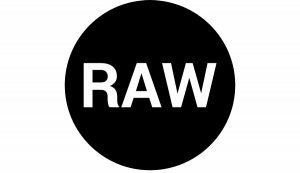 Make sure to use promo code CULIRAW10 to get $10 off. A special Vegan Pop-Up within NYC’s biggest curated market is coming to you in April. Come discover and explore the vegan and plant-based lifestyle. 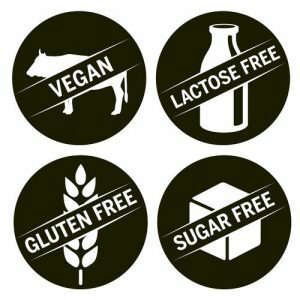 There’ll be something for everyone, so bring your vegan and non-vegan friends with you! Be sure to come hungry and ready to shop local! 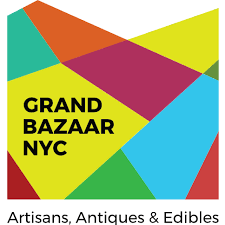 NYC’s biggest curated market is going on every Sunday and we are thrilled to participate again. Come to shop and eat local and support small businesses. All proceedings are donated to four local schools, benefiting over 4000 kids. Feel free to contact us if you have any questions, inquiry, idea or you just want to connect with us. We will be thrilled to assist you. 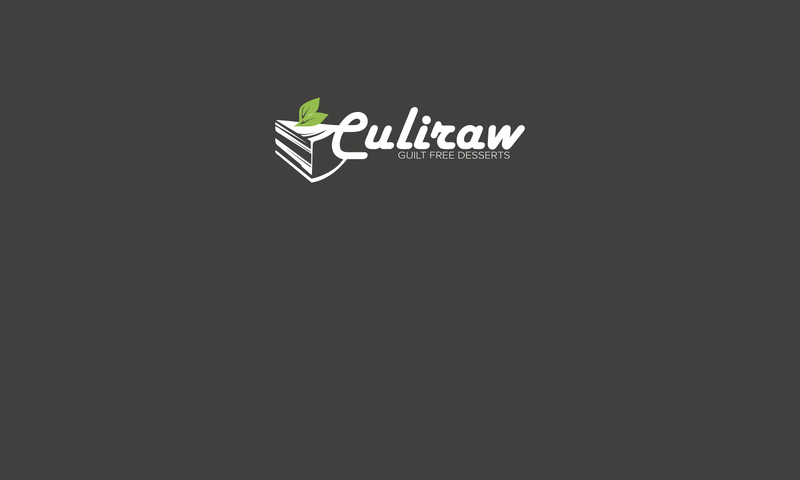 Culiraw will use the information you provide on this form to be in touch with you and to provide updates and marketing.